The Summer Solstice in 2017 is at 5.24am on Wednesday, 21 June but there are lots of things to do over the next couple of weeks to mark the moment when the sun appears to stand still before the lengthening days turn into lengthening nights. The Summer Solstice is most celebrated festival of the pagan Wheel of the Year, while traditional midsummer is a few days later on 24 June. Here is a list of pagan events taking place over that time. 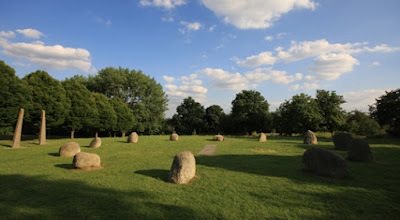 Many of the ones I list are in London, because that is where I am based, but some are in other parts of England including the famous stone circles at Stonehenge and Avebury. If you know of an event that you want listed, please email the details to me at badwitch1234@gmail.com. Thursday 8 June; Foundation course: Altered States of Consciousness. First class in four-week series of lessons. Venue: Wicca Moon, 50 Well Hall Rd, London, SE9 6SH. Tickets: £80 for the entire course. Time: 12.30pm. For details or to book a place email shirlee@wiccamoon.org.uk or call 020 8850 7803. 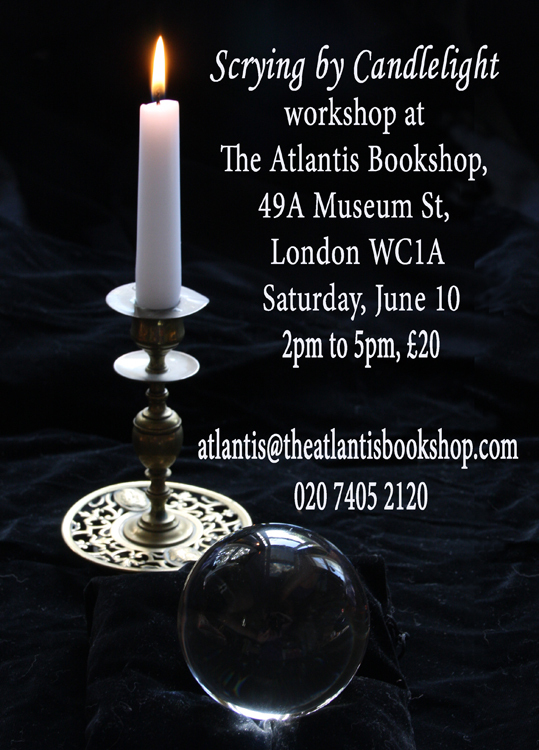 Saturday, 10 June; Scrying by Candlelight - afternoon workshop on crystal ball reading, mirror and water divination with me, Lucya Starza. 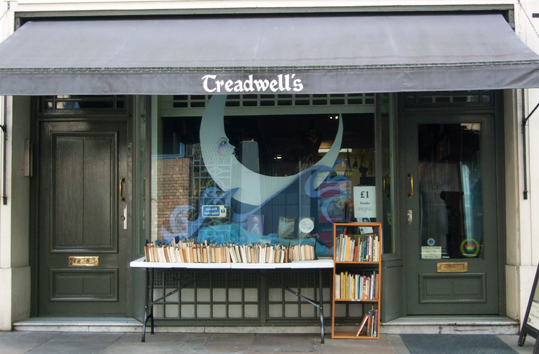 Venue: The Atlantis Bookshop, 49A Museum St, London WC1A 1LY. The shop is near the British Museum. 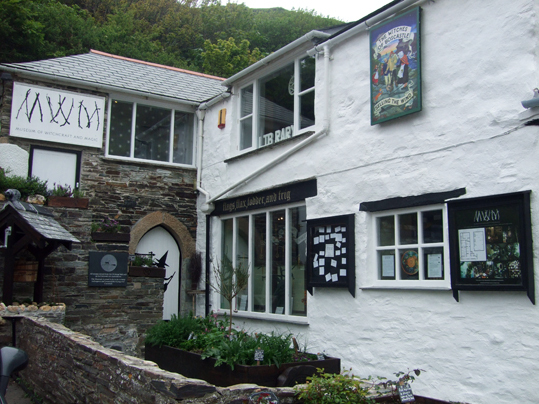 The workshop runs from 2pm to 5pm, with a break for refreshments in the middle. The cost is £20 per person. All materials, as well as tea, coffee and biccies, are included. To book a place, email atlantis@theatlantisbookshop.com, phone 020 7405 2120 or pop in to the shop. 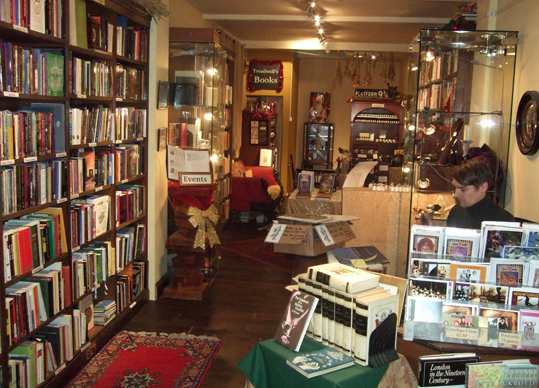 You can also buy copies of my book, Pagan Portals - Candle Magic at Atlantis Bookshop. Thursday 15 June; The Circle of Ankerwycke moot on the third Thursday in each month. Venue: Function room at the back of the Two Rivers Pub, 43 Church Street, Staines-upon-Thames, TW18 4EN. Time: 8pm. 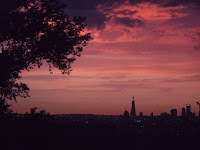 Sunday 18 June; Dawn of the Oak. Pagan moot on the third Sunday of each month. Venue: Upstairs at The Castle, 34-35 Cowcross Road, Farringdon, London EC1M 6DB (near Farringdon tube). Time: 3pm-6pm. Wednesday 21 June; Lake District event: The Birkrigg Druids' Standing Stones Summer Solstice Ritual. 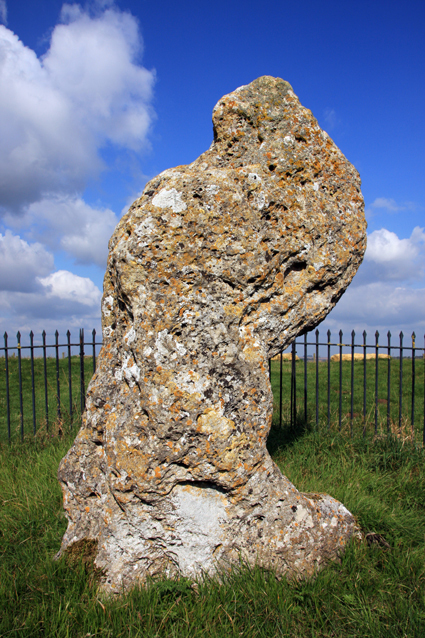 Birkrigg stones are on Birkrigg Common near Bardsea between Ulverston and Barrow, off the coast road. All paths are welcome; the circle is hosted by Paul the druid and supported by Libra Crystals Ulverston (contact Anne). You will be given a very warm welcome. Time: 12 noon. Bring a picnic to share, your drum/guitar/flute etc and check the weather. 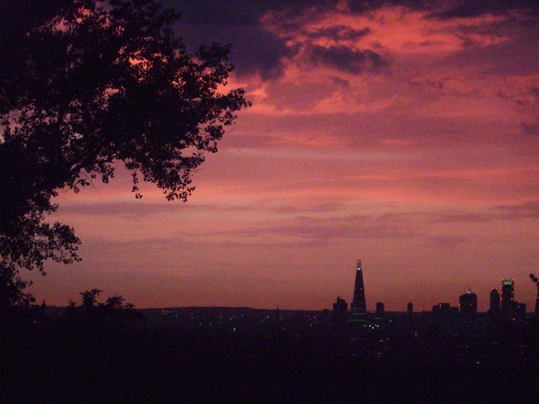 Saturday 24 June; Midsummer meanders, meditation and munch in Woking, Surrey. Meet in Woodham Common car park, just off the 6 ways Roundabout, on Monument Road, Woking, at 10.30 am, for a meander to the two longbarrows. The group will then go on to The Peace Garden, which is the former Muslim burial ground for a guided meditation, before retiring to Sands at The Bleak House for refreshment. This is close to the sand pits which HG Wells used as the landing point for his martians in War of The Worlds. Sunday 25 June; Alban Heruin/Lithe/Mid-Summer Solstice on Primrose Hill with the Loose Association of Druids. Open ritual hosted by Jeremy Morgan, the Druid of Wormwood Scrubbs. 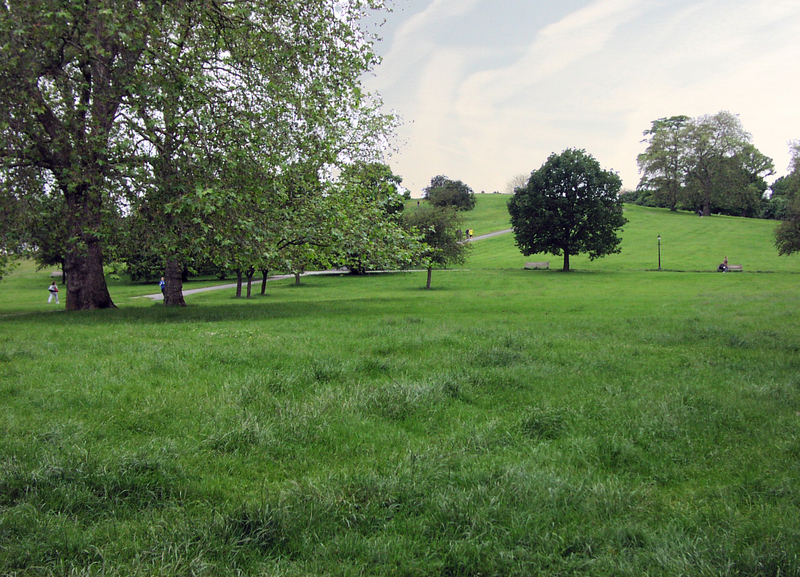 Venue: The Hawthorne Grove, Primrose Hill, Regents Park, London NW1. Starts at 12.30pm, ends at about 2.30pm. Nearest tube: Chalk Farm. I am not responsible for any of these events except my scrying workshop and I recommend checking with the organisers before turning up to any of them. If you know of an event that you want listed, please email the details to me at badwitch1234@gmail.com.